4. Quality Process and more. Allstate follows strict screening procedures during pre-employment, employment and post-employment period of Full-time, Part-time, Temporary employees, Consultants, Security Guards. The employee background information is verified from reputed verification agencies and these employee records are maintained in employee files for security reviews. All new employees undergo an orientation and training program involving roles and responsibility, company product lines, internal security policy, employee behavior etc. Every employee and security guard is issued an ID badge and access card to be used in certified facility. All visitors are seated in a separate reception area. Their access to this area is through an electronically operated door controlled via a security system. Visitors are not allowed into the company premises with photo or video cameras, tape recorders etc. They are issued Visitor badges and access cards into certified facility. A Visitor log book is maintained at the reception area which has daily visitor records. Agents/ third party personnel allowed in company premises have to follow all the above procedures and an activity log is maintained with Agent details. Allstate premises are located in an area which is serviced by public law enforcement and fire protection agencies. The facility is secured with intrusion alarm system and is protected by auxiliary power backup system in the event of power failure. All external entry and exit points including those for freight and maintenance are equipped with a security window and external television camera surveillance. They have an electronically controlled door fitted with an access control device. During non-business hours, the emergency alarm is activated which alerts the local police incase of an intrusion attempt. Exterior lights illuminate the facility exterior, entrances, parking areas, loading dock areas etc. All skylights, ventilation, and cooling system ducts that penetrate the building structure are secured. The security control room door is fitted with a card reader access control system. It also has CCTV monitoring system, intrusion fire alarm system. The access control system is programmed to restrict access to authorized personnel only. 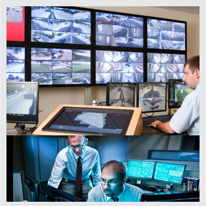 The Allstate enterprise security system focuses on protecting the security and integrity of the data being stored and managed on the computer systems, or transmitted over networks. Firewall systems have been implemented with failover and packet and application level monitoring. 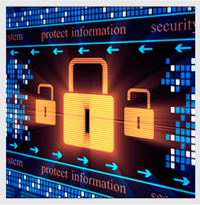 We use industry standard intrusion detection, network monitoring and anti-virus tools. The servers, switches, hubs, routers etc. are placed in a secure room with controlled access to authorized employees. Secure areas inside the production facilities store card products, components, data etc. and entry to these areas is through an access control system. Access control systems and CCTV camera surveillance is installed. The card production area, work-in-process area, the storage facility and waste disposal area are the secure areas. All the secure areas are intrusion protected, contact monitored and fitted with audible alarm systems. High security areas in the production facilities store cardholder data, personalized cards etc. It also includes the card encoding & embossing area. Access control systems and CCTV camera surveillance is installed. The secure storage area door is contact monitored and fitted with audible alarm system. Access control and CCTV surveillance systems are installed. Only authorized personnel are allowed to enter the area with access cards.